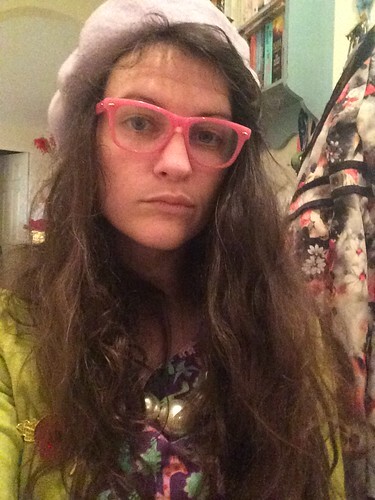 t*rexes and tiaras: Rose coloured glasses.. Finally, after taking an eye test back in July and discovering my prescription had changed quite a bit since the previous one, I have some new glasses. With the correct prescription in them. Hoorah! 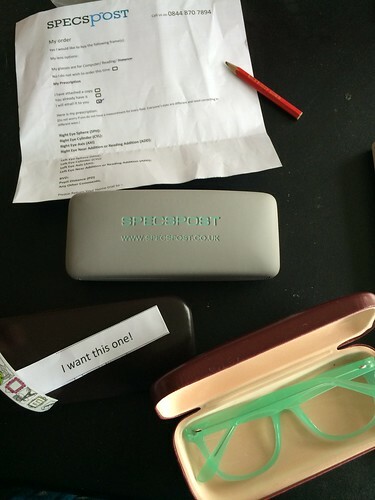 Specspost offered me the chance to try out a selection of their frames in the comfort of my own home, which I always prefer to trying them on in the opticians with a salesperson desperately trying to get you to buy from them. So, I tried on some frames and wasn't sure. I asked on Instagram for opinions and still wasn't sure about any of the ones I tried. I really like the idea of brightly coloured frames but wasn't sure that the first pairs weren't too big for my face. Luckily, the colour collection frames are also available in petite size, which I kind of expected to be too small for my head, because I have a giant head (proven by the buying of hats in the past). But, when they arrived it turned out they were perfect on me. All I had to do next was settle on a colour choice! In the end, I decided to go for the brightest pink colour I could. Pink is probably one of my favourite colours and I'm not really someone who worries about whether the colour of my glasses will go with the colour of whatever I'm wearing. The frames themselves, once I'd made my choice, were back with me and with the correct prescription lenses in, within a week and I have to say they fit perfectly and I really like them. Thank you, Specspost! They really are super bright. I really prefer not being rushed, being able to try on with a variety of outfits or what-have-you. So much better!